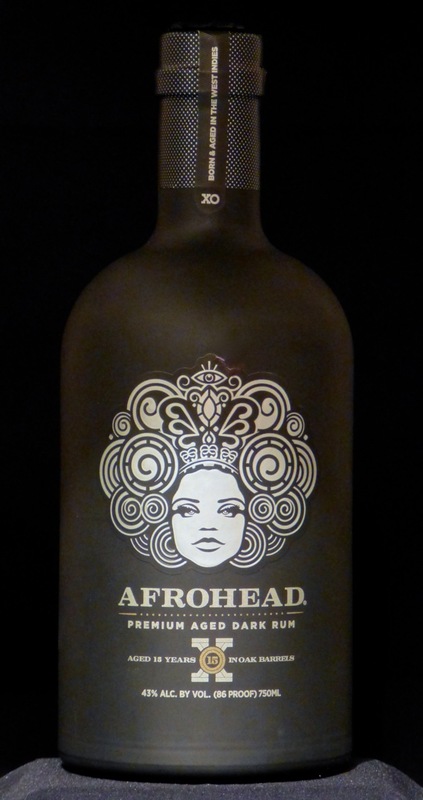 Once she’s escaped the opaque black bottle, the 15 year old Afrohead genie displays herself as a richly-hued copper colored beauty in my tasting glass. Swirling her around gently reveals preposterously heavy legs - I suspect this Afrohead lady has a serious sweet tooth. Take a sip and experience a classically sweet Trinidad rum, with caramel, vanilla and toffee flavors. The medium heavyweight body spreads these dessert-like delicacies thickly over tongue and palate with consistent sweetness though to the long and extremely smooth finish. Diluting with a small amount of ice produces a drier taste and finish. 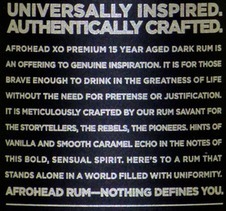 Afrohead 15 Year Old is embodied in the distiller’s motto: “To Brave Beginnings and Bold Finishes..” Darn right. Word to live by. Define yourself and live. 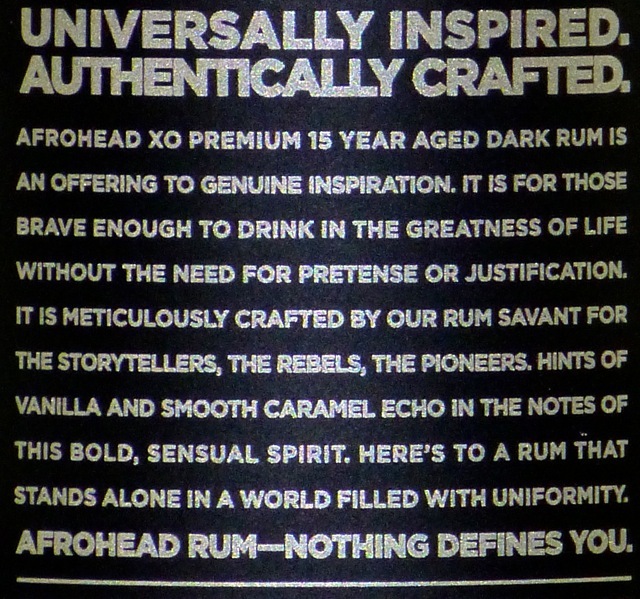 Congratulations, kudos and thanks to Master Blender Toby Tyler, the brainiac behind all the hair at Afrohhead for bringing us this great, easy sipping rum. The molasses base of Afrohead rum is sourced primarily from the Dominican Republic, then fermented by Angostura on Trinidad using a proprietary strand of yeast selected for producing toffee and vanilla notes. The wash is distilled in large columns, aged in ex-Bourbon oak barrels and blended. 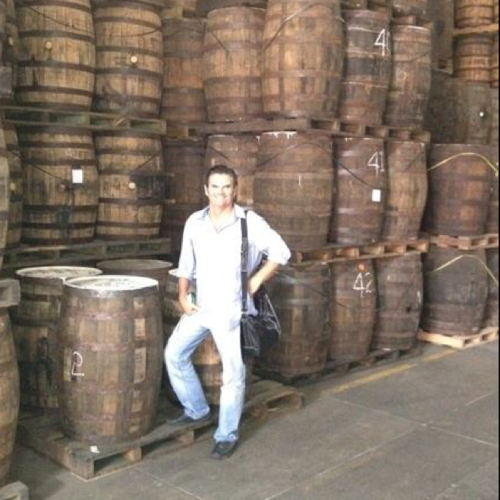 Afrohead rum is bottled on Barbados. Packaging is understated while making a bold statement. 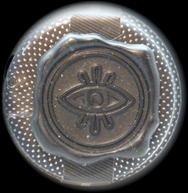 The black bottle has a matte finish, silver silkscreened logo and text. 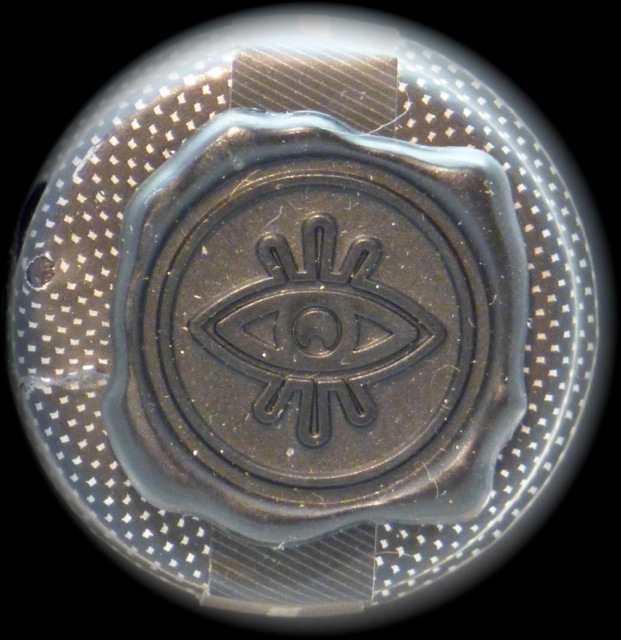 The cap is adroned with a logo stamped into a wax seal over black and silver checked foil. Afrohead 15 Year Old embodies the sophisticated, classic flavors well known to aficionados of Trinidad rums, now brought to us expresses by Bahamas creative fireball, Mr. Toby Tyler. 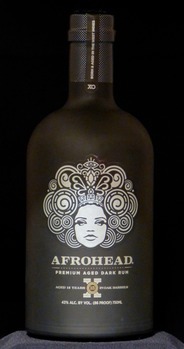 On my palate, I find Afrohead delivers a more balanced tasting experience (reduced wood and vanilla notes) than many of Angostura’s own aged rums. You can take this Afrohead beauty anywhere. Reviewed: February-March 2015 at the Festival Rum Bahamas on Nassau, and again at The Rum Gallery, USA.